Is your building complying with the Americans with Disabilities Act? If you don’t have proper handicap bathrooms, you are not. Rely on Beaverton Plumbing, located near Portland, OR, to know the exact specifications and do the job right when installing or retrofitting a commercial handicap bathroom. 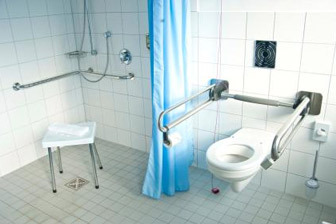 The ADA has stringent guidelines on exactly the size a commercial handicap bathroom must be, from measurements to the sink to the vertical clearance for knees. In addition, there has to be a clear circle that allows a wheelchair to turn. Not meeting the guidelines for a commercial handicap bathroom can get you in trouble with your tenants – and the law. In addition, it can be extremely expensive to retrofit when you could have done the job right the first time. 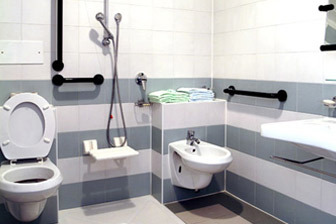 That’s why you’ll want to make sure to consult the experts at Beaverton Plumbing to make sure that you are meeting all the ADA requirements for handicap-accessible restrooms in your building. We’ll help you choose the toilet, sink and other fixtures that are most comfortable for your tenants while still complying with the law. Then we’ll make sure they are installed correctly and will meet the guidelines that the ADA inspector will be looking for. There is no leeway in making sure your commercial handicap bathrooms are up to code, so let the experts at Beaverton Plumbing make sure you are in compliance.